The University of the Fraser Valley women’s basketball team clawed its way back from a 20-point deficit to secure a thrilling 59-55 victory over the UNBC Timberwolves on Friday evening at the Envision Athletic Centre. The visiting T-Wolves came out on fire, knocking down five three-pointers in the first quarter and opening a 32-12 lead less than two minutes into the second quarter. 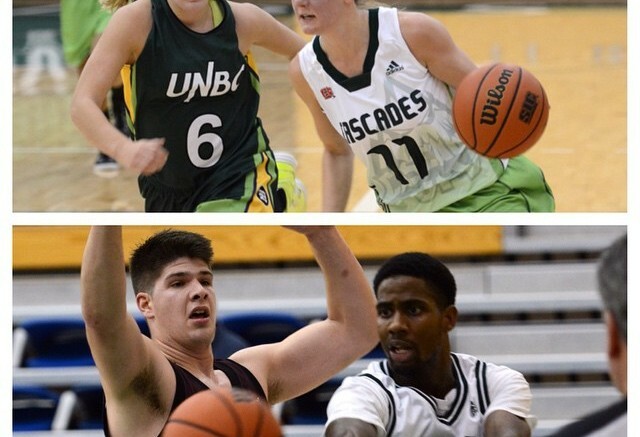 But the Cascades engineered a slow-motion comeback, steadily chipping away at the UNBC lead. Sydney Williams swished a huge three-pointer with 34 seconds left in regulation to knot the score 55-55, and the Cascades came up huge defensively in the dying seconds and went 4-for-6 from the free throw line to provide the final margin of victory. UFV (3-2) and UNBC (1-6) renew hostilities at 5 p.m. on Saturday at the Envision Athletic Centre. 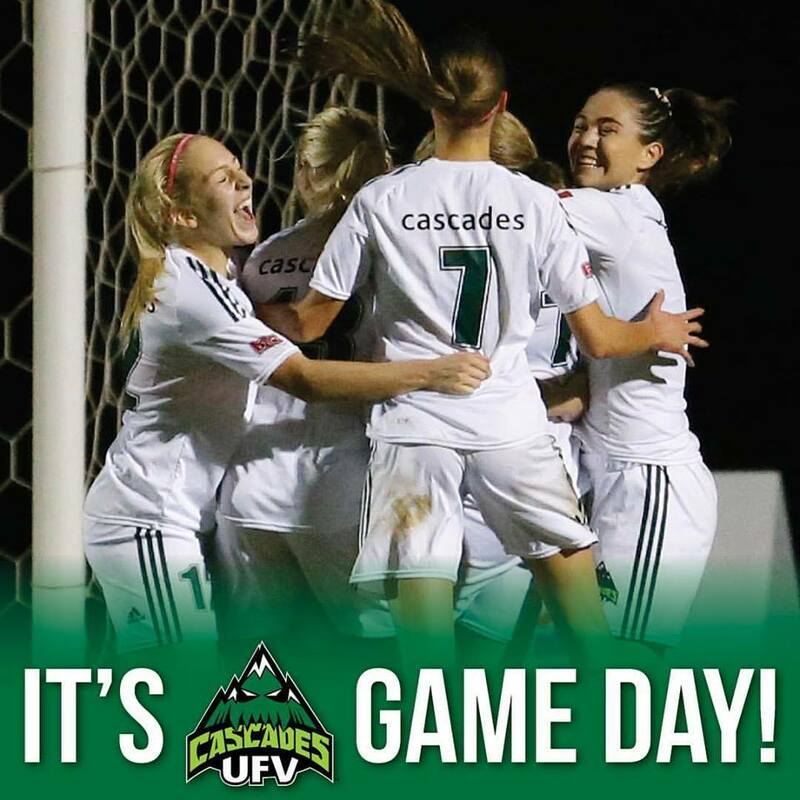 “Everything was wrong early,” Cascades head coach Al Tuchscherer analyzed. “Our approach to tonight’s game was quite maddening, actually. Giving up 27 points in the first quarter is not what we want to do at all. I think they really came out and caught us sleeping a little bit, and knocked down a lot of shots. I looked over at (Cascades assistant coach) Tara (Burton), and we were probably 30 seconds away from pulling the starters and thinking about tomorrow night. But she told us to kind of stick in there, and we stuck in. The girls fought hard in the second half. The Cascades had a promising start – Williams opened the game with a three-pointer, and Shayna Litman followed with a jump shot to give the hosts a 5-0 lead. But the T-Wolves responded with a pair of impressive runs, 14-0 and 11-0, and found themselves up 20 after Maria Mongomo’s three-pointer early in the second quarter. UFV, though, found some traction defensively at that point, and kept UNBC off the scoreboard for the next six minutes. The offence was slower to materialize, but the Cascades managed 10 points of their own during that stretch to cut the deficit to 32-22. UNBC pushed the lead up to 47-31 with three minutes left in the third quarter after a Stacey Graham trey, but the Cascades kept chipping away. A 9-0 run early in the fourth quarter, capped by a Kayli Sartori layup, brought UFV back to within 49-46. Mongomo’s triple with just over two minutes left pushed the UNBC lead back to 55-50, but those would be the last points of the night for the T-Wolves. Williams’s corner trey out of a timeout was the big offensive moment for the Cascades, knotting the score 55-55. “When he (Tuchscherer) called the timeout and I knew we needed a three, I was like, ‘OK, I think this is coming to me,’” Williams recounted afterward. “I’ve struggled with confidence before, but when I walked out there, the entire time I was like, ‘I’m going to hit this shot, I’m going to hit this shot.’ I knew I had the team backing me up . . . I played it in my head before it happened, and it happened, and I was like, ‘Yeah.’ I’d never had that happen before, but I just had the confidence there. The Cascades got a stop on the ensuing UNBC possession, and Sartori was fouled by Mongomo and hit one of two free throws. UFV sealed the win with three straight steals in the dying seconds, and Taylor Claggett (2-for-2) and Williams (1-for-2) finished things off at the free throw line. UFV’s Sartori and UNBC’s Mongomo tied for game-high scoring honours with 18 points apiece. Claggett (13 points, 13 rebounds) had a double-double and Litman (12 points) chipped in offensively for the hosts, who got a great defensive effort off the bench from Amelia Worrell. Eleni Steriopolou (14 points) also scored in double figures for the T-Wolves, who went 10-for-19 from beyond the arc. UFV went just 3-of-21 from the land beyond, but made up for that by going 16-for-28 from the free throw line. UNBC was just 3-for-4 from the charity stripe. A 10-3 run over the final two minutes of regulation lifted the UNBC Timberwolves past the UFV Cascades 66-63 in Canada West men’s basketball action at the Envision Athletic Centre. The host Cascades led 60-56 with 2:45 remaining after Vijay Dhillon’s three-pointer, but Tyrell Laing led the T-Wolves on a game-ending surge. Laing answered Dhillon’s triple with one of his own, and he hit a contested runner in the lane with 30 seconds left to put UNBC ahead for good. The Cascades (2-3) and T-Wolves (3-4) clash again on Saturday evening (7 p.m., Envision Athletic Centre) in UFV’s final home game of the semester. It wasn’t an offensive masterpiece for either squad – both the Cascades (36.4 per cent) and Timberwolves (31.8 per cent) shot less than 40 per cent from the field, and only three players on the two rosters combined managed to score in double figures. UFV led for most of the first half, and took a 32-24 lead into the locker room at halftime. The T-Wolves owned the third quarter, out-scoring the Cascades 22-11 in the frame to push ahead 46-43, but the hosts opened the fourth on an 8-0 run to regain control. UNBC hung tough, though, and when Laing swished a triple with less than two minutes left and Marcus MacKay followed with a layup on the next T-Wolves possession, they held a 61-60 lead. Dhillon answered with a tough floater in the lane, but it was the Timberwolves who struck the last blow in this defensive slugfest courtesy Laing, whose shot over the outstretched arm of Mark Johnson found the net. UFV had a great look at a go-ahead bucket of their own when Manny Dulay found Sukhman Sandhu on a pick-and-roll, but the 6’10” rookie’s shot rimmed out. UNBC finished off the win at the free throw line. James Agyeman scored a game-high 22 points for UNBC, and Laing posted 10 points. Dhillon (13 points) was the lone Cascade to score in double figures. Sandhu and Mark Johnson had nine points apiece, Canada West assists leader Dulay added seven helpers, and Anthony Gilchrist’s 10 rebounds were a game-high. Friesen noted that Sandhu and fellow rookie Daniel Adediran (four points, two rebounds, one steal in 10 minutes) made strides on Friday. “You try to find some positives in a loss, but lots of things we need to work on, and we’ll have to start working at that tomorrow,” he said. Be the first to comment on "UFV Sports Friday – Basketball"